Let’s be honest, sometimes Netflix and takeout is more pleasurable than Netflix and chill. Binge-watching The Mindy Project pairs very well with an order of chicken wings from that BBQ joint down the street, but the smokey mesquite sauce is too damn messy! This is where a C-table comes in handy — think of it as a modern TV trays or a stylish stand for your laptop. Here we’ve rounded up eight of our favorite designs which are all priced under $200. With a Carrara-style marble surface, this c-table is totally on-trend. It measures nearly 20 inches high, so it can be used armside or bedside. 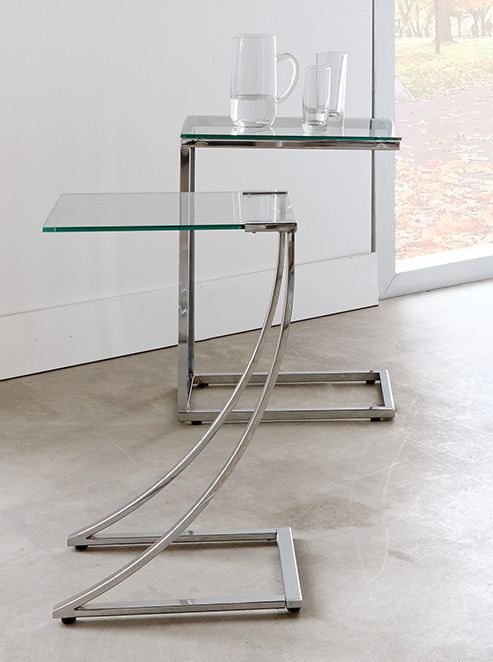 The steel tube frame has a chrome-plated finish, giving it a sleek, sophisticated look. If your decorating style is modern glam, this luxe tabletop is a must-have. The rounded corners and warm brushed brass finish lend a softer touch. Mixing metals is totally okay — so don’t worry if it differs from the other elements in your space. 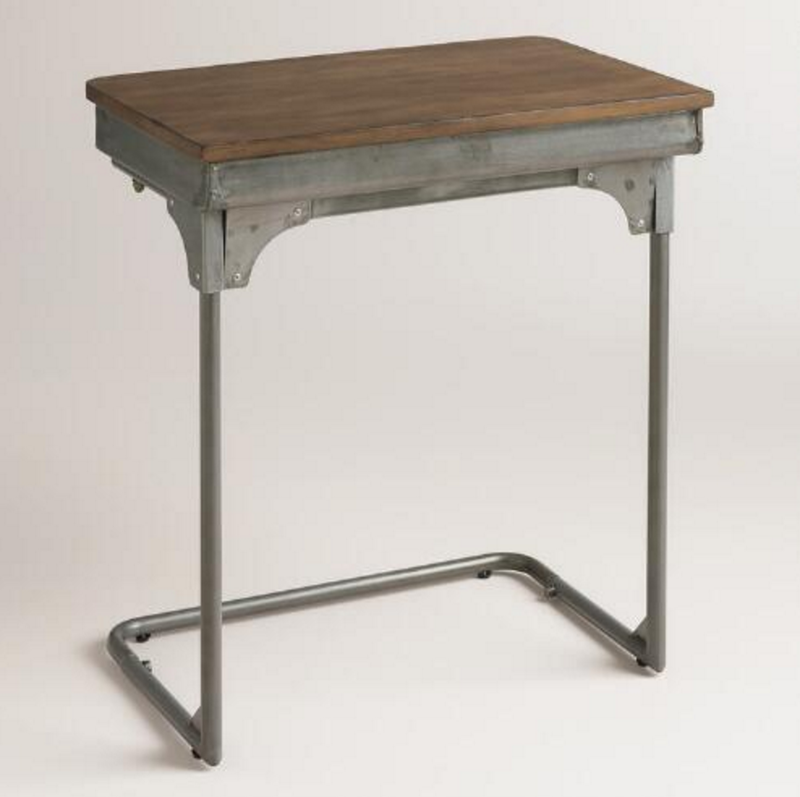 Crafted with acacia wood and a gunmetal frame, this high-reaching desk is the very definition of old-school cool. It has a slot for storing your laptop, books or office supplies and a hole for cables. 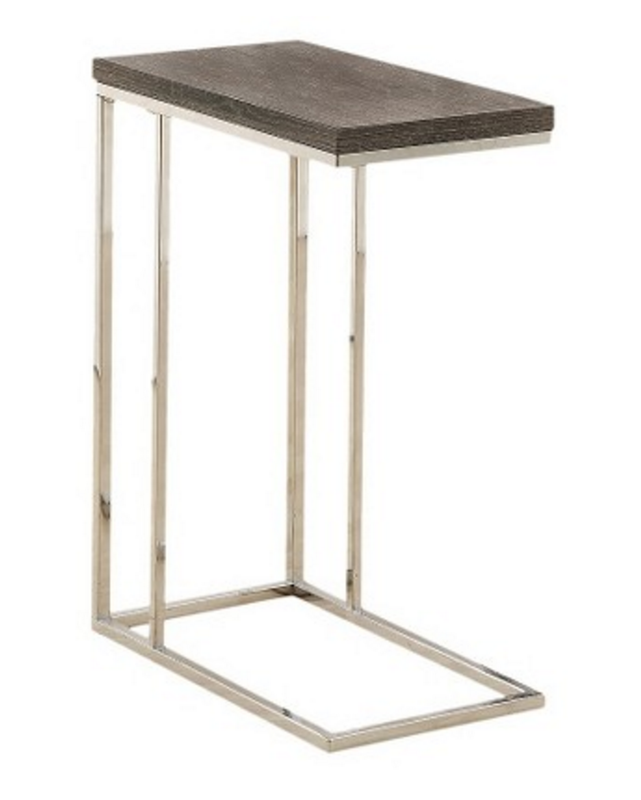 This dark taupe and chrome accent table is perfect for design-lovers on a budget. The surface has a reclaimed wood-look finish for a fraction of the price. At 25 inches tall, the piece is multifunctional and can be used as a nightstand or for space-saving dining. Make your space feel light and airy by using glass finishes. 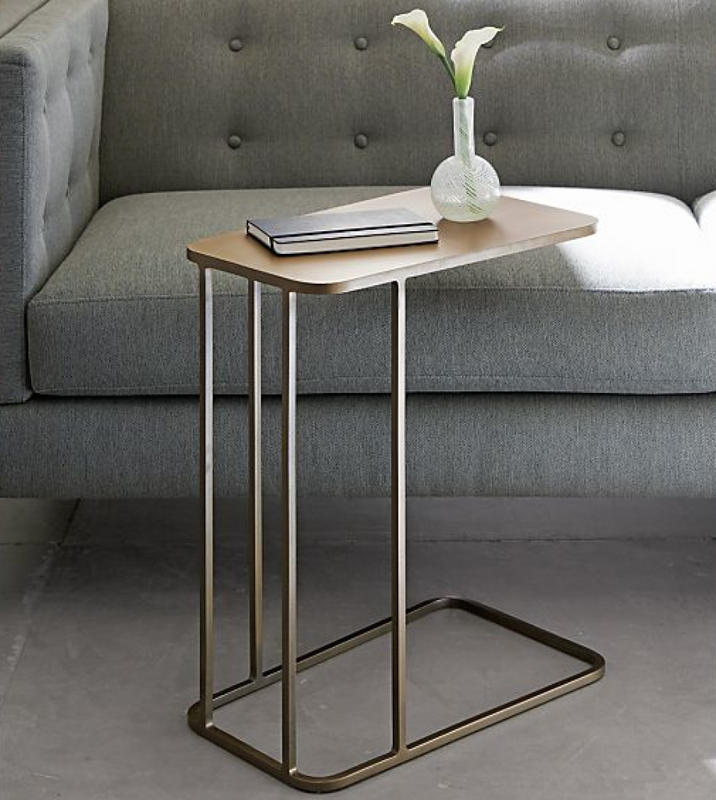 This side table has a tempered glass top and a swooping, chrome metal base. If it doesn’t fit the style of your space, Bouclair offers many more C-tables in a variety of designs and colors. 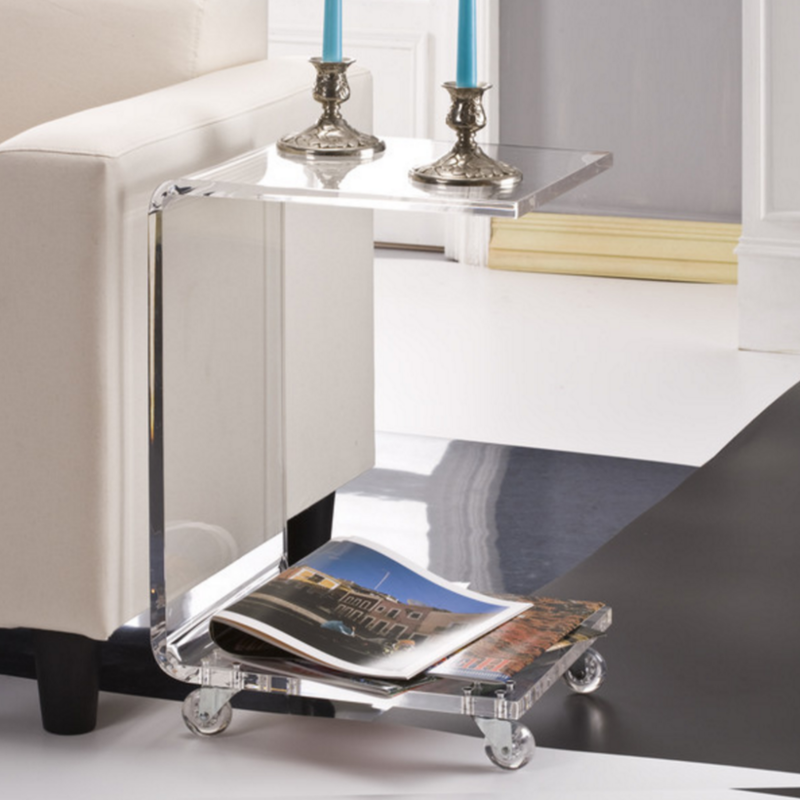 Put your meals on wheels with this lucite end table from Fox Hill Trading. 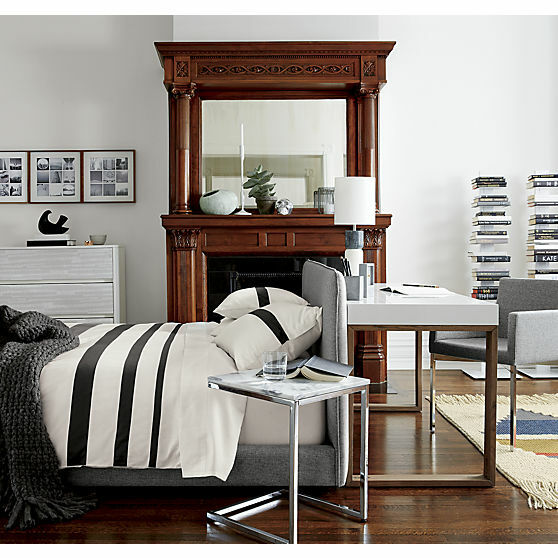 With clean lines and a simple shape, it will blend seamlessly into almost any living room’s decor. It’s made from thick, high-quality acrylic and the handy bottom shelf can be used to hold books or magazines. 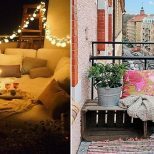 Looking to add a splash of color to your interiors? 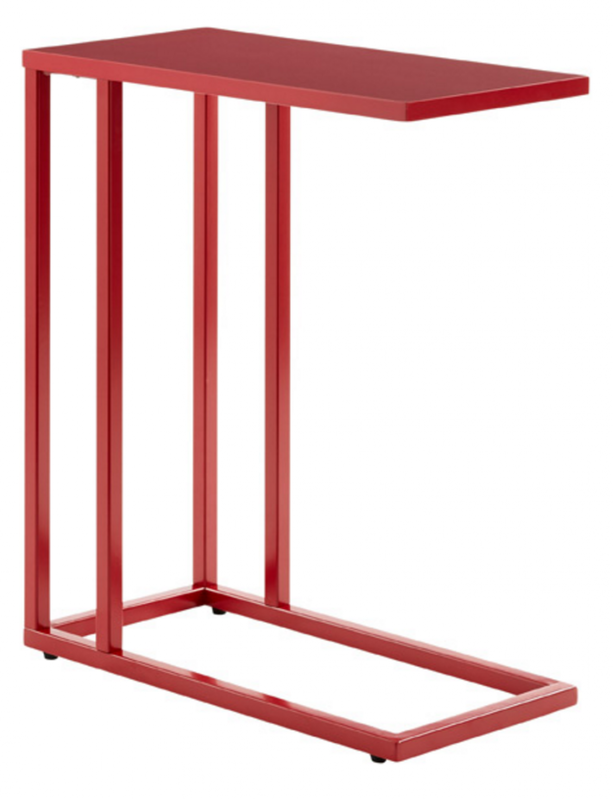 This C-table is available in red, turquoise, grey, white and oak. It’s also super sturdy, so you’re less likely to knock over a cup of coffee onto your laptop.